How To Blend In Some Nutritional Value In Your Child’s Favorite Junk Foods - I Am Proud Of My Kids! Sometimes it’s hard to deny your toddler the delicious, almost zero-nutrition foods they can’t get enough of. After all, aren’t they the only thing that they can eat properly to stay on full tummy all day? Good news: Nutritionists have come up with healthier substitutes for each of these undernourished faves! Crackers are made from fish, spices, flour, sugar, salt and MSG seasonings. Most varieties are made from artificially made ingredients. There are many recipes on how you could make organic ones at home instead of buying something that isn’t 100% natural. 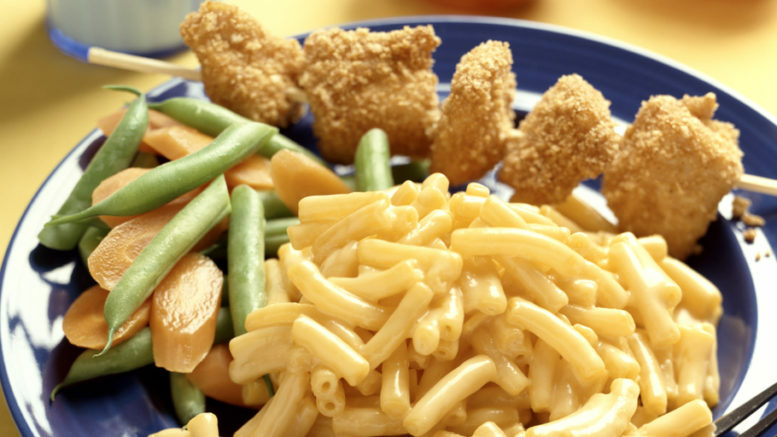 Every child’s taste buds idolize chicken products no matter the form by which they are presented in. Commercial varieties contain artificial colors, preservatives, and flavors. Avoid these by making healthy, tender ones using white chicken meat. Soak it in natural mayo and gluten-free breadcrumbs, and then fry it in coconut oil, palm oil, avocado oil or any other natural oil. Even better, you could substitute the chicken for shrimp- same taste, texture, and fewer calories! Nearly all packaged varieties are unhealthy. Just stick to making your own. Shred in some broccoli, peas, and lentils for an enticing color. Substitute the butter and milk for yogurt, ricotta cheese, or cottage cheese; tastes all the same! Commercial fruit juice is distilled down to achieve high amounts of fructose. This makes it a no match for the fiber content and overall nutritional value of natural fruit. Some people go completely vegan when it comes to pizza and burgers. You could also make your own gluten-free pie at home using brown rice pizza crust or grist cauliflower. Be the first to comment on "How To Blend In Some Nutritional Value In Your Child’s Favorite Junk Foods"